Pack of 5 Pc's Price Per pc Rs.265Pack Price Rs.1325Style: Baby Cotton Printed RomperFabric: cottonContent: 100 % cottonPacking: single pc/ 5 pcs packSizes: 0/3, 3/6, 6/9, 9/12, 12/18 Months Pack Ratio: 1 pc each sizeNote: Price per Pack.. Pack of 6 Pc's Price Per pc Rs.180Pack Price Rs.1080Style: Baby Cotton Plain RomperFabric: JerseyContent: 100 % combed cottonPacking: single pc/ 6 pcs packSizes: 0, 0/3, 3/6, 6/9, 9/12, 12/18 Months Pack Ratio: 1 pc each sizeNote: Price per Pack.. 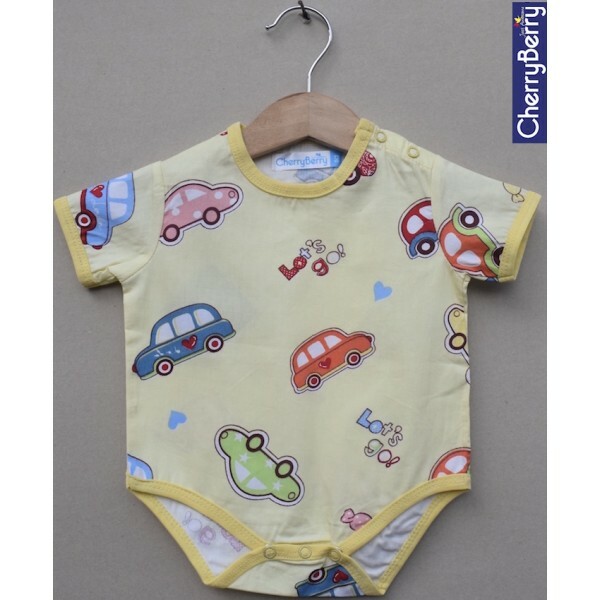 Pack of 6 Pc'sPrice per pc Rs.180Pack Price Rs.1080Style: Baby Cotton Plain RomperFabric: JerseyContent: 100 % combed cottonPacking: single pc/ 6 pcs packSizes: 0, 0/3, 3/6, 6/9, 9/12, 12/18 Months Pack Ratio: 1 pc each size..